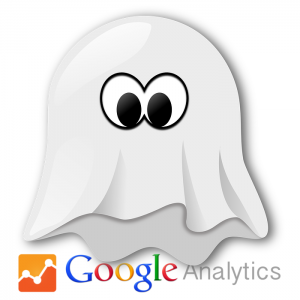 Do you look at Google Analytics data? 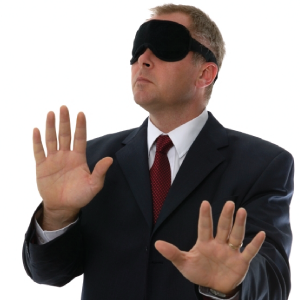 Ever measure which posts drive the most traffic or do you keep blindly adding new content ? Social media analytics give you a partial understanding. However, it won’t track all you visitors, including the all important returners who are mostly likely to get in touch. Adding Google’s tracking code to your site will identify your most popular content. 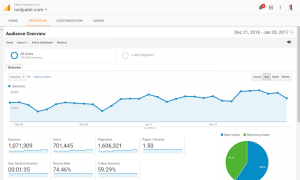 From here, you can improve content and increase sales enquiries, by looking at the data from Google Analytics(GA). To be of any use, you need to be able to understand and interpret the data Google’s tracking provides, in Google Analytics. Then, to make design and content decisions based on this, you need to draw accurate conclusions. For example, in the last 3 months, average time per session on the site may have dropped. This information tells you… very little. an increase in smartphone users is likely to reduce engagement times. However this may increase enquires as visitors tend to make quicker decisions on the phone. increased visits via promotions of specific events or products can also result in faster journeys to a specific call to action. Baring in mind how complex it is to draw the right conclusions, the more accurate the data you analyse, the more incisive and useful that knowledge is. The last thing a website data analyst needs is inaccurate data. Depending on the level of traffic, ‘Ghost Spammers’ can potentially wreck data integrity. They do this by adding ‘dirty data’ to your existing data in Google Analytics. 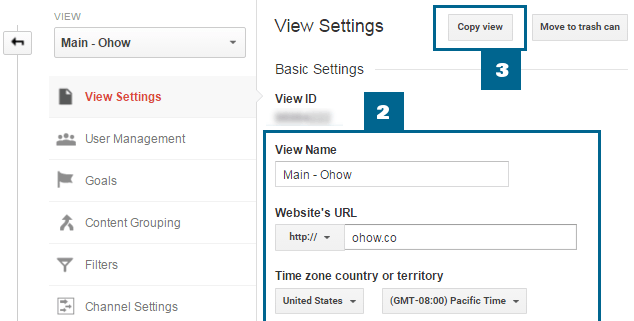 Within your Google Analytics account, go to: Audience > Technology > Network > Hostnames. If rank-check.online or 4webmasters.org are listed you’ve been visited by Ghost Spammers. They’ve been quietly adding their dirty data. Using measurement protocol they’ve left fake referrals, keywords and data on pages. using server side solutions like WordPress plugins or .htaccess. 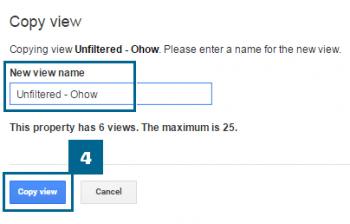 To clean your data, you need to be comfortable with editing your settings within Google Analytics. It’s a bit of a learning curve, but if you’ve decided to grasp that nettle, ohow.co provide an excellent step by step guide. It’s not a bot and never visits your site. It doesn’t know the hostnames (websites) so uses a fake one or leaves the field ‘not set’. Ghost spam is the most aggressive and active spam type. It constantly changes names, so trying to block with individual filters won’t work. To exclude ghost spam, you create a filter that only validates hostnames you set. This also helps eliminate other sources of irrelevant traffic, like test/ dev hostnames. Important to avoid excluding legitimate traffic. At the top of the report, select Hostname. By default, Service Provider is selected. Also exclude hostnames that are not spam, but produce irrelevant traffic i.e. development or test environments. Hostnames with URLs pointing to spammer websites. (not set) – Most common hostname for spam. Happens when spammer doesn’t even bother to set a fake hostname. Next create the filter expression (known as ‘REGEX’ or Regular Expression). To do this and the remaining tasks, go to ohow.co’s or Analytics Edge’s posts. Your data is the most valuable asset in your Analytics. So you need to setup your views correctly. This safeguards against misconfiguration. Backup: to compare your data with your master view, check if the filters you are applying are working correctly. To be extra cautious, to try your filters before applying them to the Master View. By default, you have one view called “All website data”. Use this as your master view. You can have one or multiple views, with different configurations for analysis. You must always have one unfiltered view with raw data. Note: Only settings are copied. Data can’t be passed between views. So every new view starts from 0. The easiest way is by copying an existing one. Click Admin tab and select a view. Click ‘View Settings’ (last column). Rename the view accordingly with the type. Save changes (at the bottom). A modal will display. Enter name for the new view (Unfiltered or Test). Click ‘Copy View’ button. Note: if you have filters already created for the view you are copying, remove all of them in the Raw data/Unfiltered view.